Lindsay Kennedy interviewed three folks on questions related to dispensationalism and the millennium. The Dispensationalist is Paul Henebury (part 1 and part 2). Darrell Bock represents Progressive Dispensationalism, and I answered questions from the perspective of Historic Pre-Millennialism. How important should eschatology be to the Christian? What encouragement would you give to someone who sees eschatology as unimportant? What are the differences between your view, Progressive dispensationalism (PD), and traditional dispensationalism? Why do these differences matter? These are catalogued in the book Three Central Issues in Contemporary Dispensationalism. The key one is the continuity PD (Progressive Dispensationalism) sees in the Covenants and that all three are inaugurated in Jesus’ first coming. For example, Jesus’ seating and activity at God’s right hand is seen as the execution of messianic activity that is tied to the New Covenant (as his seating is a part of the Davidic covenant). This also has meant the Gospels and prophets become more important for contemporary ethics than they were in some older forms of dispensationalism (I say older forms because there is not just one brand of traditional dispensationalism but several). So that is why the difference matters. If you see problems with traditional dispensationalism, why seek to adapt it rather than simply adopting Historic Premillennialism as others have done? Because there is a distinction between Israel and the church in God’s program that Historic Premillennialism equivocates about. PD is also clearer on a future for national Israel. That reference to mapping and exploring a new world comes out of my view of biblical theology as a bridge, or a rocket, into another kind of world, the world as conceived by the biblical authors. 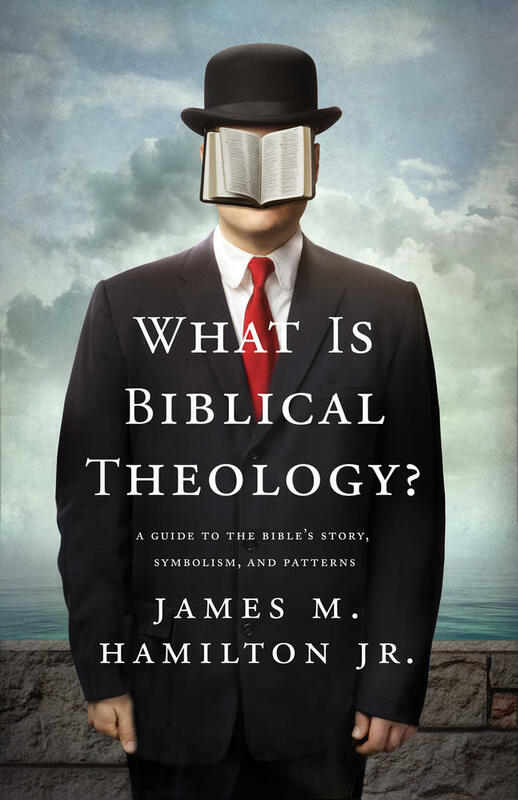 On which, see further What Is Biblical Theology? Is there a chronological progression that unfolds in the book of Revelation? 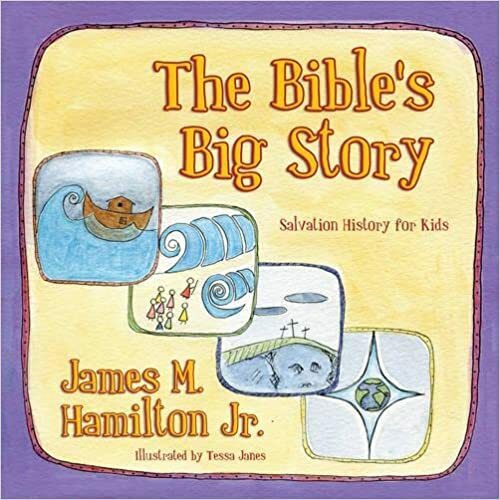 Amillennialists basically say No, there’s an ongoing recapitulation, a retelling of the same story over and over. So they would say that the millennium is happening now, at the same time as Satan is pursuing his war on the church (described, for instance, in Revelation 13). John has piled up these phrases from Revelation 13 to identify the beast and the false prophet captured in Revelation 19:20. These phrases from Revelation 13 that are reused in 19:20 refer back to the persecution of Christians seen in chapter 13, and in my view, that persecution refers to the satanic persecution of Christians in all of church history. Jesus ascended into heaven in Revelation 12:5, Satan was cast out of heaven because of the cross and resurrection of Jesus (Rev 12:7–12), and he went off to make war on the woman and the rest of her seed, Christians (12:13–17). Satan went about making war on Christians by summoning a fake christ from the sea in Revelation 13:1. God has a Lamb standing as though slain, Christ (Rev 5:6). Satan twists this with his knock-off many-headed beast that has a head that seemed to have a mortal wound, but the mortal wound was healed (13:1–3). Satan has faked the crucifixion and resurrection of Jesus with his un-lamb-like beast. The world responds to Satan’s parody the way it should respond to Jesus–all but the elect worship Satan and his beast (13:4, 8). Then the beast uses his authority to kill Christians (13:7, 15). Note that John expressly says that Satan, the beast, and the false prophet (the satanic parody of the holy Trinity, cf. Rev 16:13) deceive those who dwell on earth. In other words, they’re doing throughout church history what they’re not able to do during the millennium. Jesus comes and puts a stop to that deception by casting the beast and the false prophet into the lake of fire in Revelation 19:20, and the angel puts the dragon, Satan, into the pit for a thousand years “so that he might not deceive the nations any longer” in 20:1–3. So it seems that John has referred back to the persecutions of Revelation 13 in Revelation 19:20 to show how all that has come to an end with the coming of Christ. Then Christ reigns for the thousand years in Revelation 20:1–6. Some amillennialists think that the end of Satan’s ability to deceive in Revelation 20:3 means that the gospel can now go to the gentiles. That is, they think we’re in the thousand years now, and that Satan’s ability to deceive the nations has been stopped in the sense that he can no longer keep the true knowledge of God from the nations now that Christ has come, done his work, and sent his disciples to make disciples of all nations. I submit that this explanation does not fit the narrative of the book of Revelation. I’m not imposing this narrative on the book. John himself highlights it by means of the kinds of details I’m pointing out: in the reuse of phrases from Revelation 13 in Revelation 19:20. How does the narrative go? Satan, the beast, and the false prophet are deceiving the nations to worship the beast, and they’re killing Christians throughout church history (Rev 11–17). Christ comes and ends their deception of the nations (19:20; 20:3), raises the Christians they’ve killed from the dead (20:4–6), and reigns for a thousand years. Then Satan is loosed for the final rebellion (20:7–10) before the great white throne judgment (20:11–15) which is followed by the new heaven and new earth (Rev 21–22). Beast and false prophet thrown into the lake of fire at the second coming of Christ (Rev 19:20). Satan bound for a thousand years (20:1–6), released to deceive a last time (20:7–9), then he too is thrown into the lake of fire, where the beast and false prophet already were (20:10). There is a chronological progression that unfolds here, and Revelation 19:20 contributes to it. It’s a symbolic chronology, but it is a chronology. See further Revelation: The Spirit Speaks to the Churches, Preaching the Word. Wheaton: Crossway, 2012. What is the main point of Revelation? What is the genre? If much of the prophecy in Revelation symbolizes early Christian conflict with Rome, then why not take a Preterist reading of the book? Did John write Revelation, or did some other John write it? Is that relevant to our interpretation of the book? Is rapture doctrine taught in Revelation? What about the interpretation of Revelation 4:1 that says “come up here” is a reference to the rapture? Does revelation teach that there will be a literal 1,000 year reign of Christ on earth? What’s your millennial position, and how does Revelation inform your view? What do you say to pastors who do not preach Revelation because it is either too difficult or too divisive? Did you split your church when you preached it? Check out the interview here. Amazon should have the book soon, and it’s available now from Crossway. I assume that anyone who looks at this blog is already subscribed to Denny’s, but just in case there’s someone who isn’t, I highly recommend it. Don’t miss him on twitter, either. Thanks for the opportunity, Denny! “Then I saw another sign in heaven . . . And I saw what appeared to be a sea of glass mingled with fire–and also those who had conquered the beast and its image and the number of its name, standing beside the sea of glass . . .” (Rev 15:1–2). Amillers will say that this is a reference to these people coming to life in the presence of God. That view fails because back in Revelation 15:1–2 they’re already alive in the presence of God. Another amil attempt to explain this is that it refers to regeneration, which won’t work because we’re dealing with people who have been “beheaded for the testimony of Jesus,” which means that they were already born again believers before they got beheaded. Satan is deceiving the nations in Revelation 13:14, which is when this “image of the beast” and the mark “on the right hand or the forehead” with “the number of its name” first became an issue (Rev 13:15–18). It’s here, too, that the beast is killing Christians (Rev 13:7), and it’s here that the Christians are “conquering” the beast by not loving “their lives even unto death” (Rev 12:11). Revelation 13, 15, and 20 all mention the beast, the mark, and the number of the beast’s name. So the beast is deceiving the nations in Revelation 13 when the Christians who come to life in Revelation 20:4 were being put to death. Moreover, those same Christians are already alive in heaven with God in Revelation 15:1–2 (note how they are “in heaven” and “standing beside the sea of glass”). Thus, the depiction of the saints there in Revelation 15:1–2 is one more reason to be premillennial. The good folks at Randolph Street Baptist Church have posted a discussion between me and their pastor, Jason McClanahan, on Revelation. Why is Revelation important for us today? What is John’s primary purpose in the book of Revelation? What are the most common errors in interpreting or handling Revelation? Can you summarize the structure of Revelation? What were the most challenging texts to preach? Jason then started a series of sentences that he let me finish. We had a good time. For my attempt to answer these questions and finish his sentences, the audio is here. 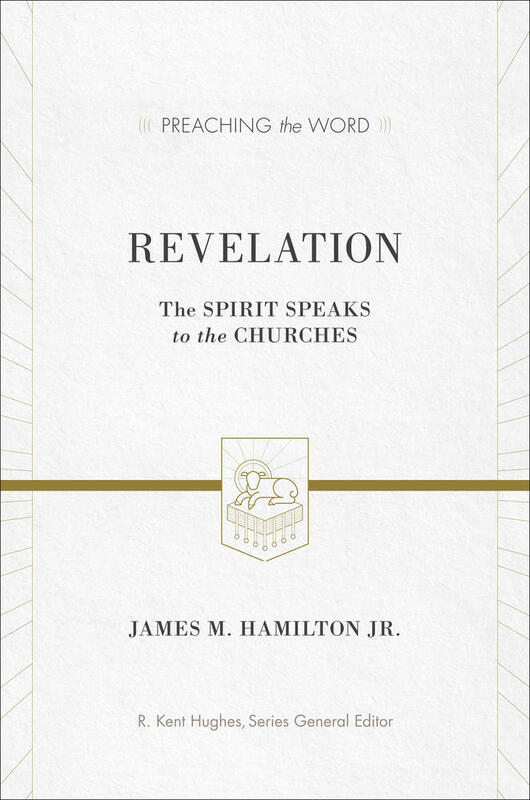 Pastor Jason mentions my forthcoming project on Revelation, which you can pre-order here. Sorry to keep piling on here, but I’m studying to preach Revelation 12 this Sunday and keep seeing things worth noting. Revelation 13:14, “and by the signs that it was allowed to work in the presence of the beast it deceives those who dwell on earth, telling them to make an image for the beast that was wounded by the sword and yet lived” (italics mine for emphasis; that word is in the text). So Revelation 13:14 says that the dragon, beast, and false prophet (cf. 13:1-4; 16:13) are being allowed to do exactly what Satan is not allowed to do during the millennium according to Revelation 20:3. I maintain that the amillennial position flattens out the imagery by claiming that different symbols all symbolize the same thing. Revelation 12:9, “And the great dragon was thrown out, the ancient serpent, the one called the Devil and Satan, who deceives the whole world, he was thrown to the ground, and his angels were thrown out with him” (emphasis mine). Revelation 12:11 explains that Satan’s being cast out of heaven relates to the conquest that came by the blood of the Lamb, Christ’s death on the cross. Revelation 12:10 explains that “the one who accuses the brothers” is the one who has been cast out. It seems, then, that the result of Satan being “cast out” in Revelation 12:9 is that his accusations against believers are rejected because of the blood of the Lamb. Having been cast out, Satan’s time is short (Rev 12:12), and he uses that time to make war on the rest of the woman’s seed (i.e., believers) and to deceive the nations (13:3-8). Satan gives his authority to the beast (13:3), the beast exercises authority for forty-two months (13:5), “and authority was given it over every tribe and people and language and nation” (13:7). Satan’s deceptive power in the beast is so strong that it persuades everyone except the elect (13:8). Revelation 20:1-3 says that there will be a thousand year period in which he no longer deceives the nations. Sam’s arguments seem to go like this: since this text (or this word) means x, this other text (or word) can’t mean y. I’m not finding x and y to be mutually exclusive. In summary, when we look at all other relevant occurrences of thronos, whether inside or outside the book of Revelation, they are without exception heavenly. There is nothing to suggest that they pertain to a millennial earth, either in location or character. Again I have a brief and simple response. The end of Revelation 20:6 reads, “they will be priests of God and of Christ and they will reign with him for a thousand years.” Compare this with Revelation 5:10, “and you made them a kingdom and priests to our God, and they will reign upon the earth.” Could “they will reign upon the earth” in Revelation 5:10 “pertain to a millennial earth . . . in location and character” (Sam’s words) when we read in Revelation 20:6 that these resurrected people “will be priests” and “they will reign for a thousand years“? In Revelation 20:4-5 people who have been beheaded–physically killed–experience “resurrection,” which, in the words of N. T. Wright, refers to physical life after life after death. If it doesn’t mean that, Wright says the usage of the word is strained to the breaking point. Then these resurrected people are made priests and reign with Christ for a thousand years (Rev 20:6) which looks like the realization of what was predicted in Revelation 5:10, where those Christ redeemed from all nations (5:9) are a kingdom and priests and reign on earth (5:10). I quickly glanced through the uses of “throne/s” in Revelation, and here’s what I would say: you have the throne of God in heaven, the thrones of the 24 elders, and the throne of Satan and the beast. So the throne of God and the thrones of the elders are in heaven. Fine, but the church in Pergamum lives “where Satan’s throne is” (Rev 2:13), and in Revelation 13:2 the dragon gives his throne to the beast. Let’s grant, too, that the throne of Satan that he gives to the dragon is a symbol of his authority. Even as a symbol, it refers to authority Satan exercises where that church in Pergamum dwells, which is on earth (2:13). The same holds when Satan gives his authority to the beast (13:2). Note, too, that Satan uses the beast to deceive the nations with his faked crucifixion and resurrection (the healing of the mortal wound to one of his heads) in Revelation 13:1-8, and compare that with the way that Revelation 20:3 says Satan will not deceive the nations during the thousand years (see esp. Rev 13:7 and 20:3). Is it that hard to imagine Satan’s authority being taken away from him (Rev 20:1-3) and that authority, symbolized by thrones, being exercised by Christ and the resurrected saints on earth for a thousand years? I don’t see how the use of the word “thrones” argues against the premillennial position. when Christ returns, the NT is clear that a number of things will end at that time (sin, corruption, death) and a number of things will begin at that time (our physical resurrection, final judgment, new heavens and new earth). In other words, when Christ returns, it’s “curtains” on sin and death. But in Premillennialism, there are still a thousand years of sin and death and corruption. I don’t want to be insensitive to my Premillennial friends, but it struck me a few years ago that the Premillennial position seems relatively depressing: Christ returns–but death and sin and rebellion continue. Now I know that our feelings can’t determine our exegesis (i.e., Premillennialism seems depressing, therefore it can’t be true)–and yet at the same time I think I feel that way precisely because the consistent testimony of the NT leads one to confidently expect that judgment, resurrection, and the death of sin and physical death will all happen at the blessed and glorious return of Christ. I know others will disagree, but this strikes me as a fatal weakness of Premillennialism. My response to this is simple: at many points in the Old Testament, it looks as though when the Messiah comes everything is going to be consummated. As Justin nicely puts it, “‘curtains’ on sin and death.” Surprisingly, the Messiah came, and not everything in Isaiah 11 or 61 was realized all at once. What looked like one coming in the Old Testament was split into two comings, with a lot of time in between. From the eagerness of the disciples to reject the idea that Jesus was going to suffer in Jerusalem, and from their desire to see the kingdom restored to Israel in Acts 1, they seem to agree with Justin that the continuation of sin and death is depressing. Now that Jesus has come, of course, we can look back on the OT and see statements that fit with a first and second coming. So you can see where I’m going: as I said in the panel discussion, our task is to understand how everything the Bible says fits together. Obviously he wouldn’t argue that the OT indications that the coming of the Messiah will be accompanied by the reverse of the curse are a “fatal weakness” for what the NT says about Jesus having come once and promising that he will come again. Nor would he argue that the Gospels saying that Judas hung himself is a “fatal weakness” for the testimony in Acts that Judas fell headlong and his insides burst out. Nor, in my judgment, do the things Paul says about the second coming in 1 Corinthians 15 preclude what John says about the Millennium in Revelation 20. It was my privilege and honor to participate in “An Evening of Eschatology” at Bethlehem Baptist Church, hosted by the Bethlehem College and Seminary, with John Piper, Sam Storms, and Doug Wilson. The Audio and Video of the event are available, with an introduction from John Piper, here. May the Lord be glorified and his word understood.